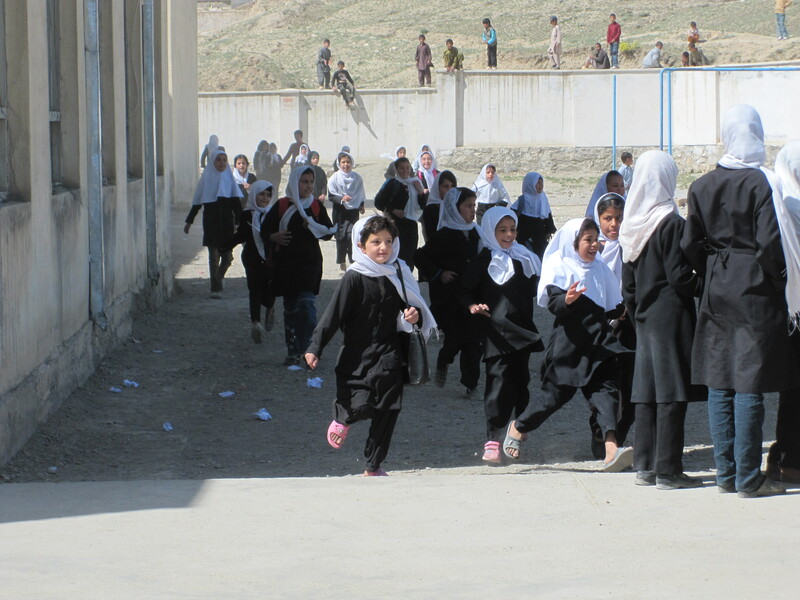 Afghan girls running to get in line for free school supplies. If you are a community group, church, school or university and would like to partner with us, please leave a comment here on the blog or email us at TRexinAfghanistan@gmail.com. 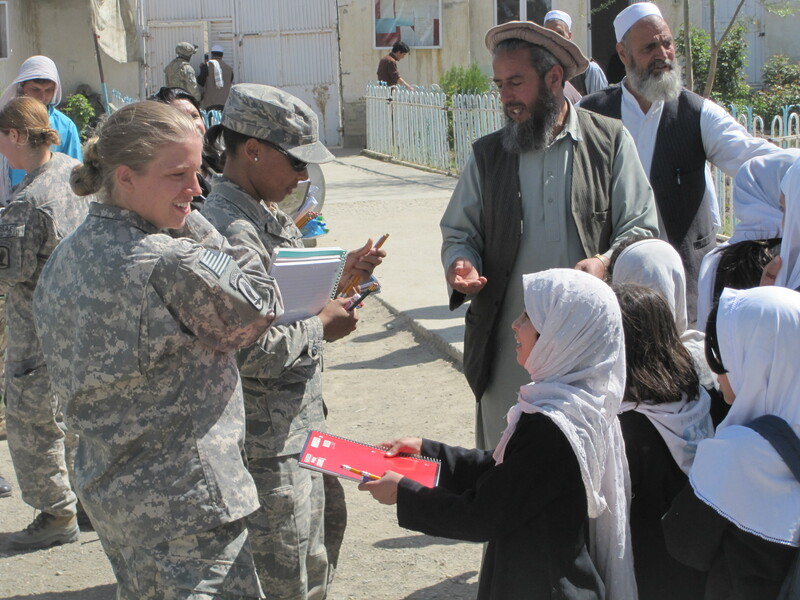 We ship to US troops in different parts of Afghanistan and the donated items are delivered during humanitarian missions. For more information on how this project first started in June 2009 and grew to a nationwide grassroots organization, please click here. I’ll make this a project for my classes – extra credit or something. Would we just mail a box to you guys, or? Once you are ready to ship, we ask that you ship directly to Afghanistan unless you are located in the Tampa Bay area in Florida where we can pick up the donations. The cost to ship to Florida is the same as shipping directly to Afghanistan if you use the postal service large flat rate box for APO/military shipping ($12.50 per box). Greg Mortenson: A Simple Mistake or a Real Deception? 45 Boxes of School Supplies! A definite success all around! This blog is sponsored by School Supplies for Afghan Children, a project operating under Holland & Knight Charitable Foundation (a 501c3 nonprofit).